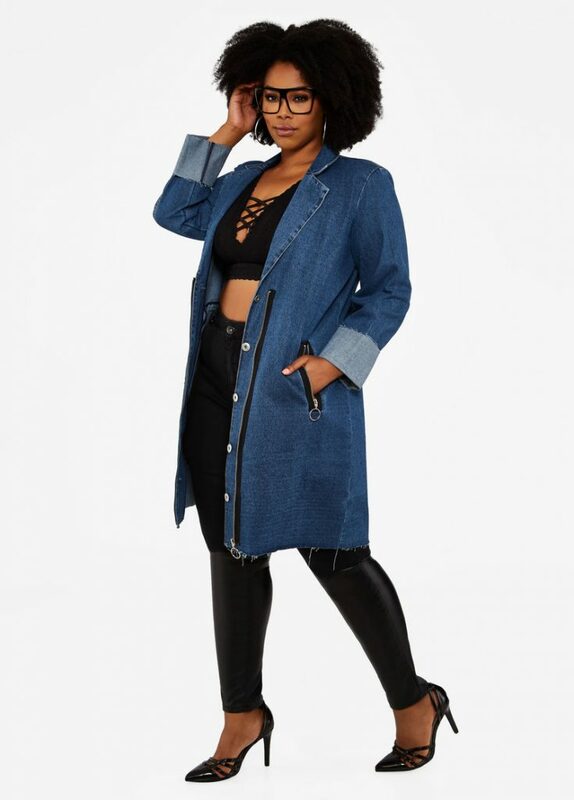 Home /News/Not Including Your Jeans, Here are 5 Ways To Rock Plus Size Denim! Fall is officially here! And as the weather cools down, we’re always on the hunt, looking for different ways and different items to add to our closet, right? That is why you are here, right? With fall’s chill here, it’s time to layer up! But what if we could layer up in a classic fabric we know and love? 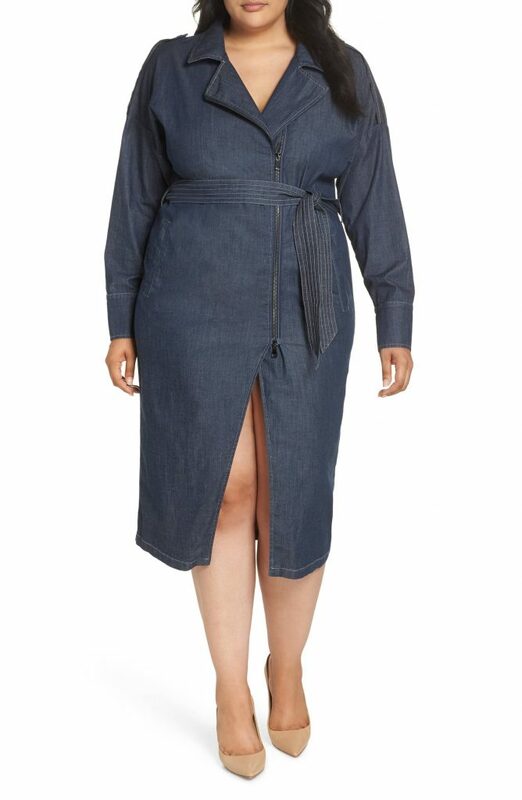 Plus Size Denim! But not your jeans… oh no. What about an alternative to when you wanna wear denim, but rather rock it a different way? Well, thanks to spring’s iterations of plus size denim, we have more than a few ways to have fun with this trend for the fall! Take a scroll let us know what you think, because as always, we’re always here to help! “denim for the premium label lover on any budget.” But this set? Together or apart is sure to turn a few heads wherever you go! What a fun and polished alternative to the trusty denim jacket! 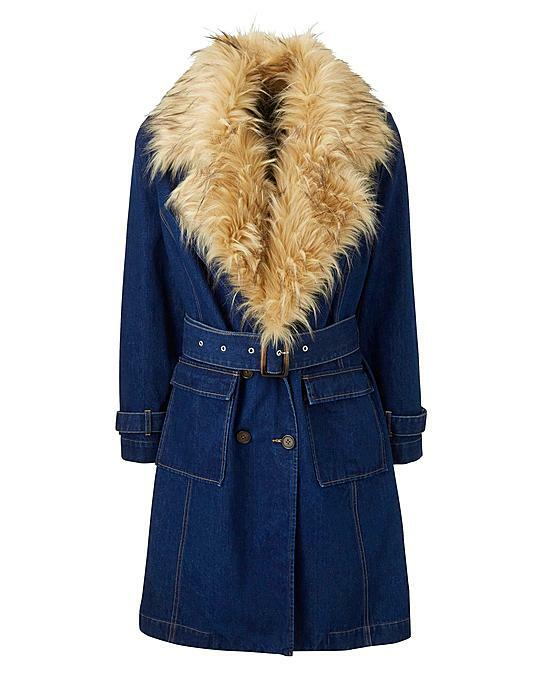 Paired with fall’s wide leg trousers or with a fitted midi dress and boots, this lightweight jacket is a great go to, to add that final touch to your wardrobe. No stranger to this trend or silhouette, the denim jumpsuit is a fun way to rock a full fit without the hassle. 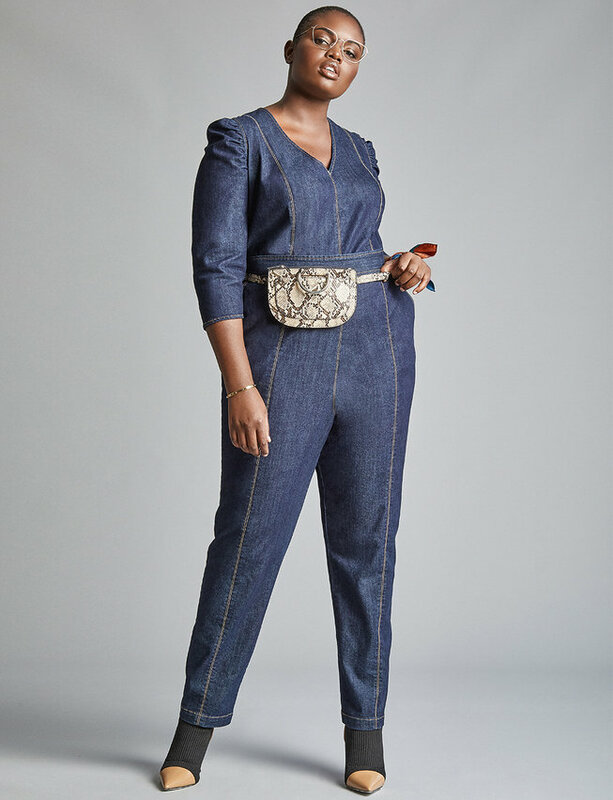 Dressed up or down, the right plus size denim jumpsuit can easily be your fall go to, when jeans just won’t do! Want a more substantial option for your fall coat needs? Then why not a plus size trench coat? Not the easiest silhouette to find throughout the internets, but when you do, you have to make it yours. Easily an annual staple, and oftentimes a seasonless one (except this find) the right denim trench is sure to help you keep it poised, polished, and professional! Ashley Graham and Marina Rinaldi number is sure to whet your fashion appetite. This dress will easily take you from the fall season into spring, with the right accessories! What do you think of these finds? Any pique your interest? Outside of your must have plus size jeans, how do you wear denim for the fall season? Do you rock the trusty denim jacket? The tried and true denim skirt? Or do you opt for the classic denim dress? Which are some of your favorite ways to have a little fun with this fabric? How are you going to be wearing it this fall?